A few weeks ago I went to my favorite neighborhood Goodwill and it was a total bust. Total. Couldn’t find one thing to buy! Not one. So I drove to another thrift store. A bigger, nicer store some six miles away. And I balked on buying a variety of items (silk ties, quirky vinyl records, wool jackets), partly because they were so expensive. 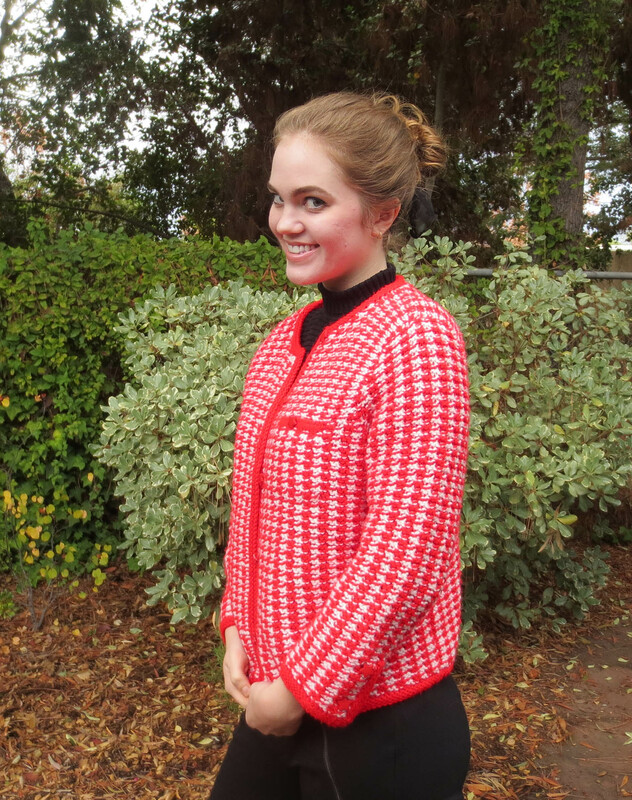 At the end of the day my best find was a handmade, crocheted, red and white sweater with a Chanel-esque vibe, particularly if you switch out the star buttons. The workmanship was flawless and reminded me of my Grandmother’s handwork. Made me smile. But I drove home a little perturbed. I mean would the guys on the “Thrift Hunters” TV show come away nearly empty handed? Shouldn’t I have been able to ferret out more good items? Shouldn’t I?? And this week I did find some great items (at reasonable prices) in my local Goodwill…my favorite find is an amazing Gerard Darel (Paris designer!) crochet cardigan. (If this fit, I’d be keeping it!) The vintage silverplate hotel creamer is pretty sweet too. How about you? Any good finds this week? I found a few smalls, nothing noteworthy this week. I feel it was a bust too! I can’t remember the last time I found something really good at Goodwill. I hardly go in anymore. Patricia, I’m discovering that it really can be hit and miss at my local Goodwill. Pretty good this week: two numbered prints and some nice ceramic pieces. But some weeks…nothing 😦 Hope tonight brings you a lot of sales!! !